People often worry when they are considering bankruptcy that their credit score will be damaged. The debate typically focuses whether filing for bankruptcy will cause more damage than a debt settlement agreement. With a Chapter 7, where you obtain a discharge for most of your debts and repay nothing, the bankruptcy will remain on your credit report for 10 years. A Chapter 13 bankruptcy, where you repay a portion of your debts and receive a discharge for the remaining amount, will be reported for seven years, and affect your credit score for that length of time. A debt settlement will also be reported for seven years. This is a good topic for conversation with your bankruptcy attorney. You can explore which solution would produce the quickest results. It is also important to examine what type of credit you may need in the future. 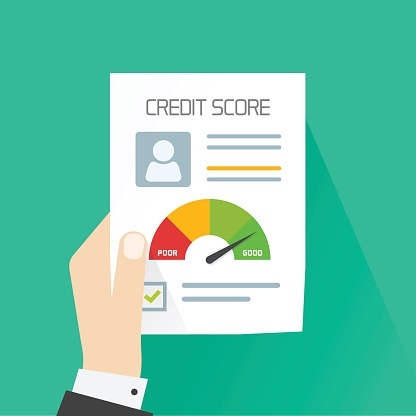 While a good credit score is desirable if you need credit, if you are being overwhelmed by debt, eliminating your debt is probably more important than abstract worries about your credit score. A Chapter 13 may be your best option if you have a steady income, as it both provides bankruptcy protection from creditor harassment, but it can work as a useful training tool for living with a budget. This can serve you in the future, after your Chapter 13 plan is completed and you receive your discharge. The use of a disciplined budget can help prevent some spending habits from getting out of control and leading to a recurrence of financial problems. You will still be able to obtain credit after a bankruptcy, but it will be more expensive. However, scrupulously completing your Chapter 13 plan payments, you can demonstrate your ability to pay your debts. This may enable you to repair your credit more quickly than struggling month after month with a large, unmanageable debt. Contact a consumer debt lawyer today for help. Source: Foxbusiness.com, "Debt Settlement vs. Bankruptcy: Which is Worse for Credit Score?"